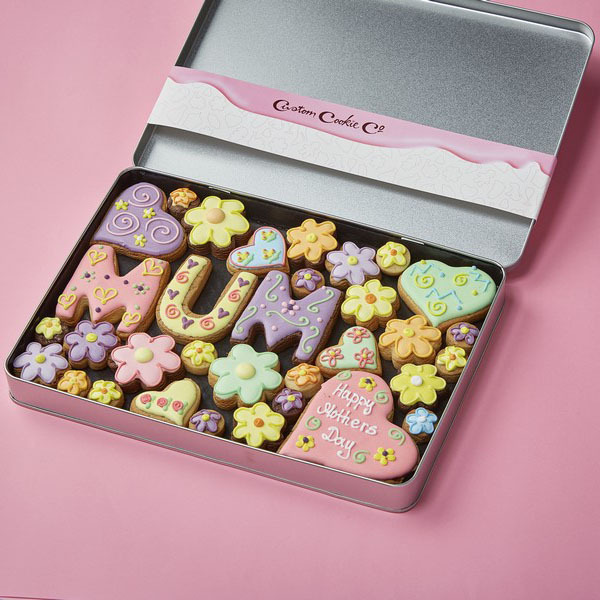 Looking for the perfect Mother’s Day gift? 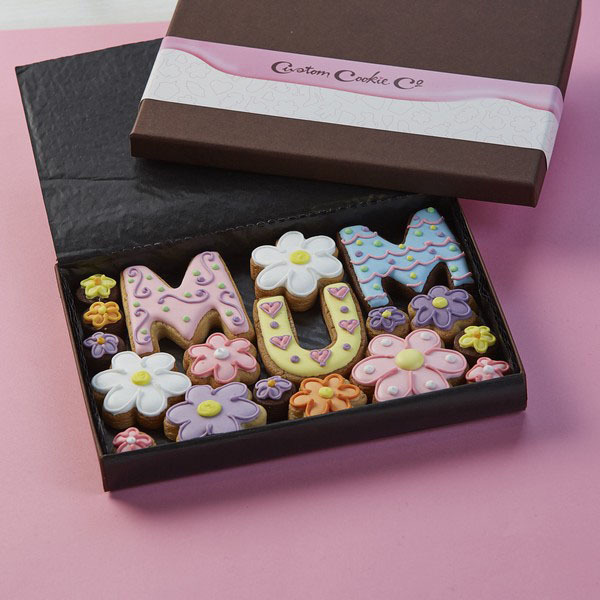 You’ve come to the right place because we’ve created a delicious range of Mother’s Day cookies designed to show just how much you care. 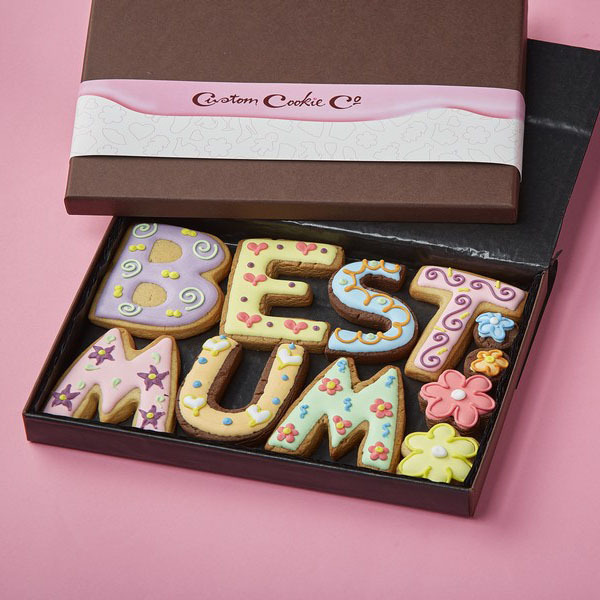 If you’d like to give your gift a personal touch, our cookies can be customised with your mum’s name or a unique message. 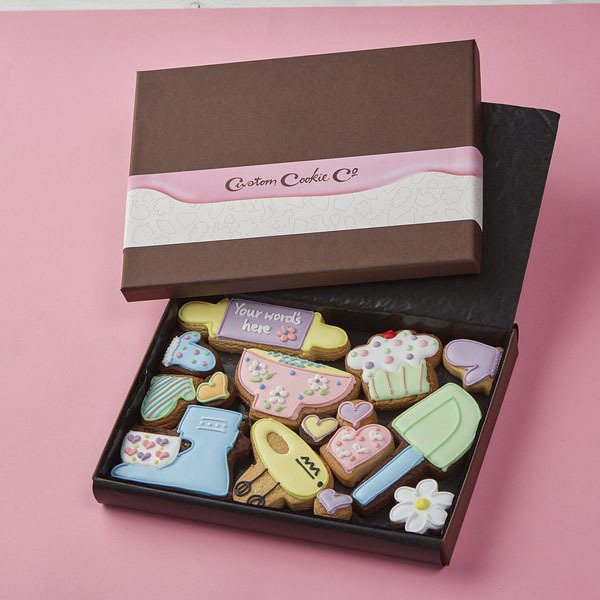 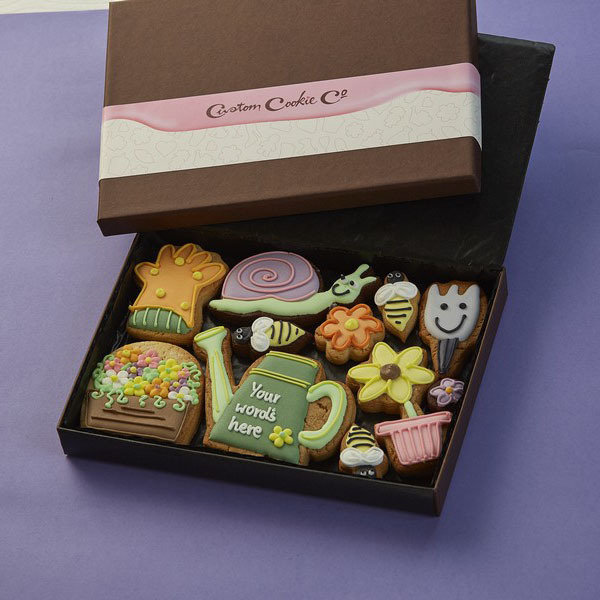 We also have a selection of Mother’s Day gift boxes boasting an assortment of yummy cookies decorated with a particular theme. 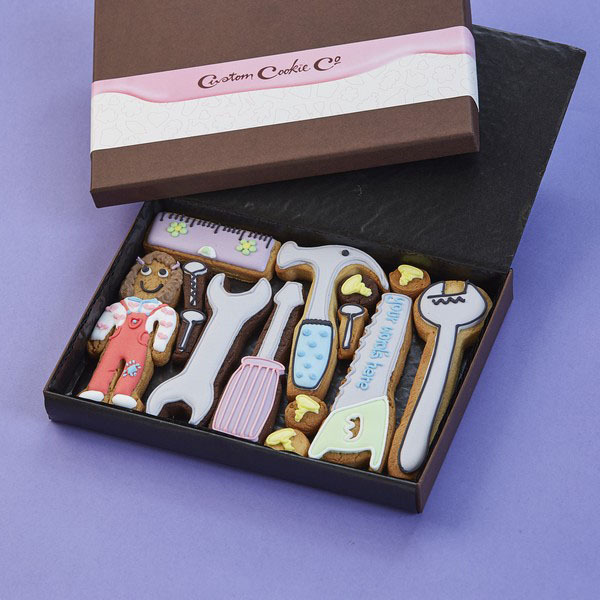 We have our Medium Baking Box packed full of edible rolling pins, food mixers and oven gloves. 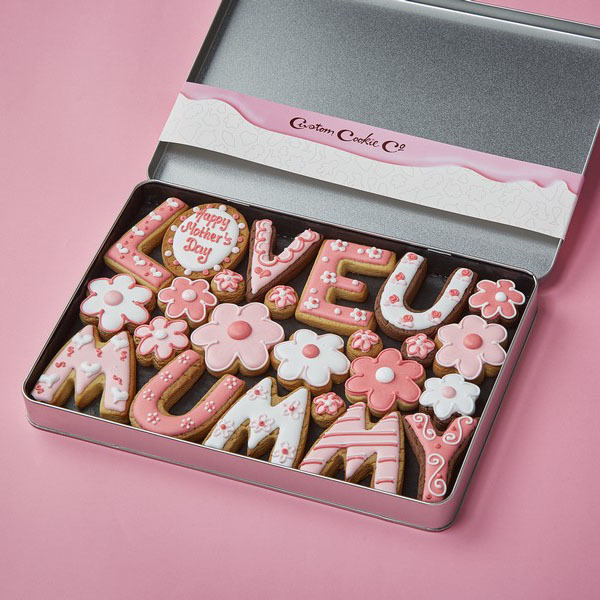 There’s the Medium Beauty Box, perfect if you have a glam mum with a love for all things fashion and beauty related. 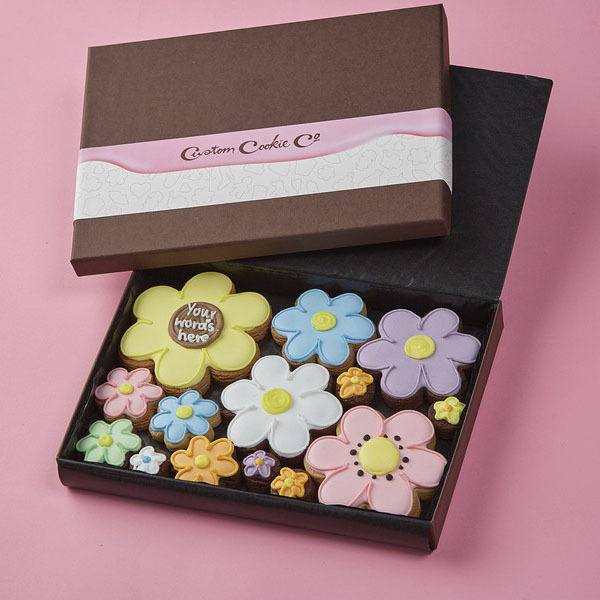 Our Medium Gardening Box is also a popular choice amongst those with green fingered mums! 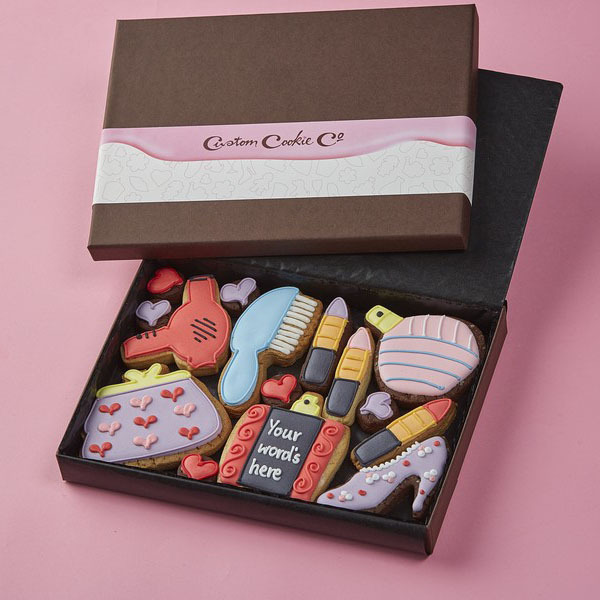 If you’d like to order one of our customised cookies selection boxes in time for Mother’s Day, get in touch today to place your order and personalise your gift!